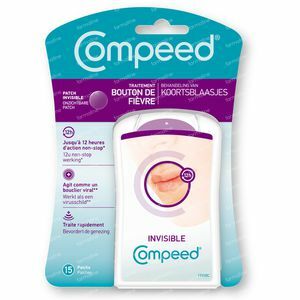 Compeed Patchs Lip Vesides Total Care Invisible 15 bandages order online. 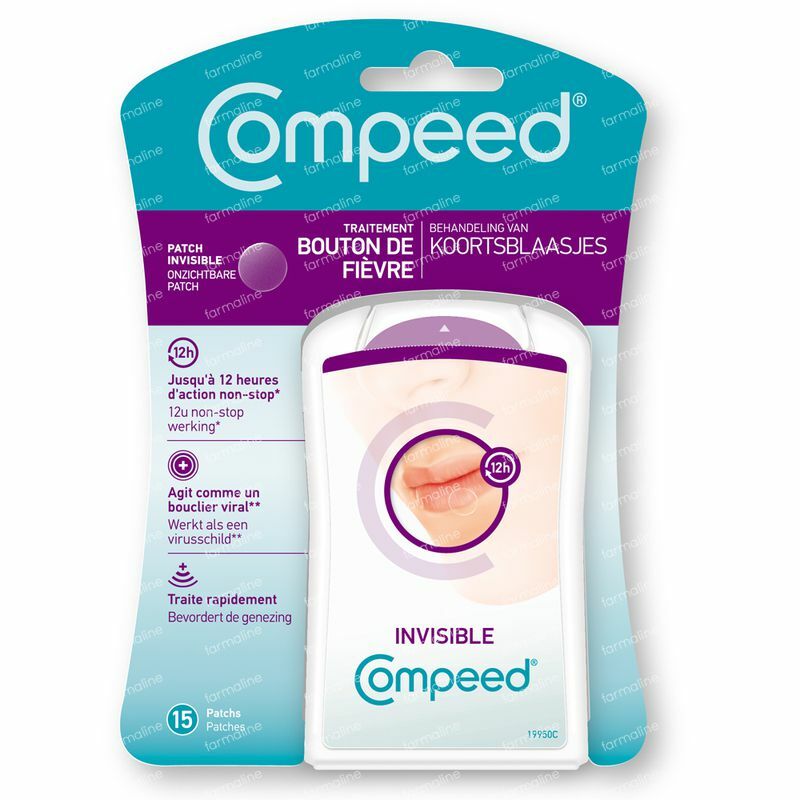 Compeed Cold Sore Patch helps to relieve and recover in an invisible way. The Compeed ® Cold Sore Patch is a true revolution in a modern and fast way to help relieve and restore. It's a barely perceptible, ultra-thin, invisible patch that directly relieves and helps prevent against crusting. The virus can not be transmitted easily and even makeup can be applied over the Compeed.